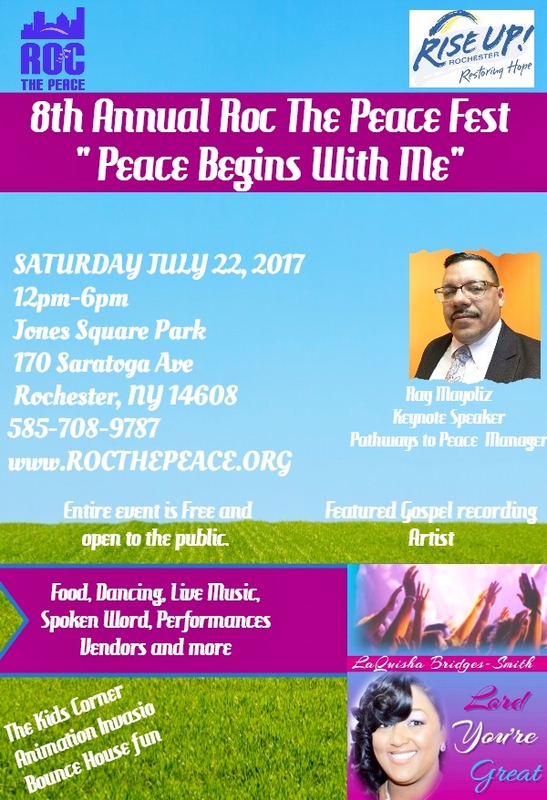 Each year Roc the Peace Host its annual Peace Festival. There is always Free food, Free entertainment, Free giveaways Free fun and Free admission. As always it will be held at Jones Square park in Rochester NY.